﻿ Gran Hotel Atlantis Bahia Real GL, Fuerteventura | FROM $352 - SAVE ON AGODA! 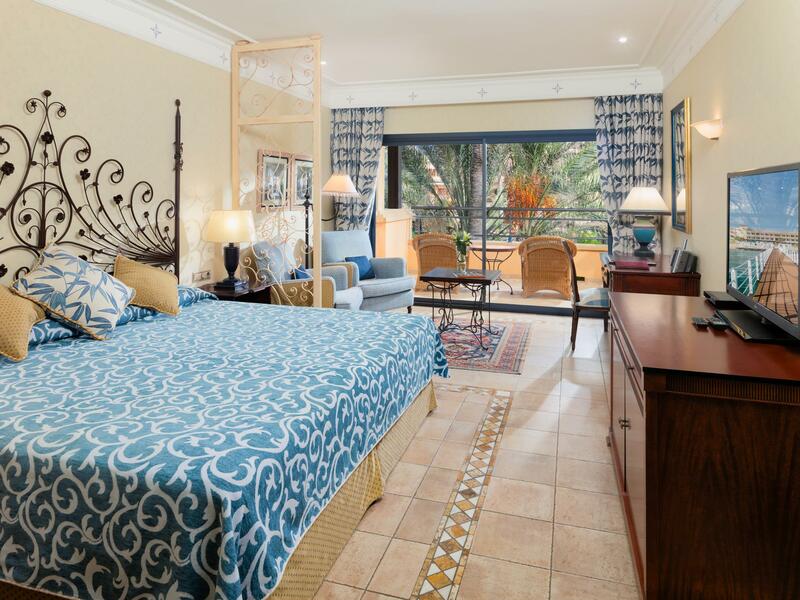 "Great view from the room nice setting and pools with lots of..."
Have a question for Gran Hotel Atlantis Bahia Real GL? "The rooms are spacious and well appointed, the facilities (well equipped gym with various classes, nice spa, indoor as well as outdoor pools) and Great food." "A great hotel with wonderful staff who always make your stay special." "Good entertainment in the evening and good choice of restaur..."
Gran Hotel Atlantis Bahia Real GL is in a privileged beachfront location with 800 meters to the large beaches. With its convenient location, the property offers easy access to the city's must-see destinations. The property offers access to a vast array of services, including free Wi-Fi throughout, swimming pools, jacuzzi, playground, mini club, shops, meeting rooms and state-of-the art gym facilities and equipment. Its excellent cuisine is reflected in its 6 restaurants that offer the best dishes of gourmet, Japanese, Spanish and international cuisine. Over the Atlantic water is the "Chill Out" area with Balinese beds and a varied cocktail menu, and a restaurant to enjoy delicious dishes. There are free umbrellas and sunbeds on the beach in front of the hotel. The Bahia Vital Spa (+16 years) combines the latest technologies in health and beauty to achieve the well-being of mind and body. Experience high quality room facilities during your stay here. 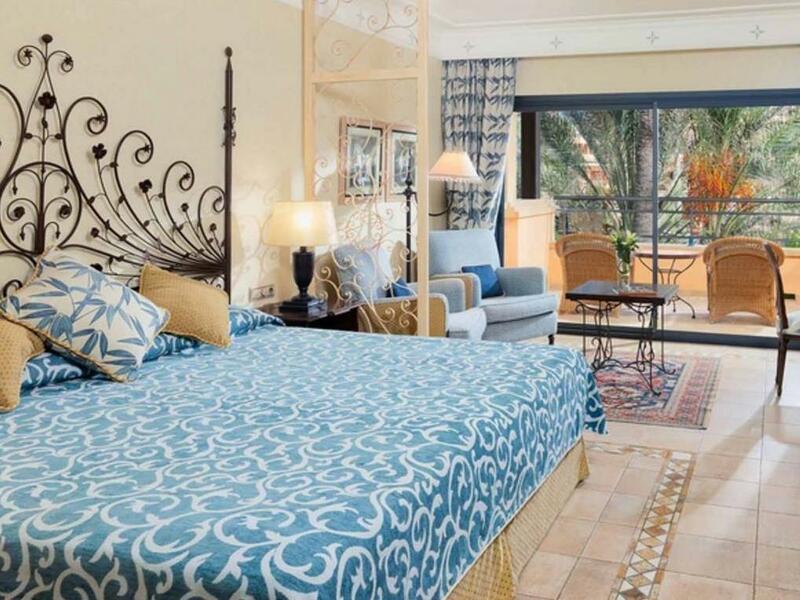 All rooms are specially decorated till last detail, and most of them with sea views. 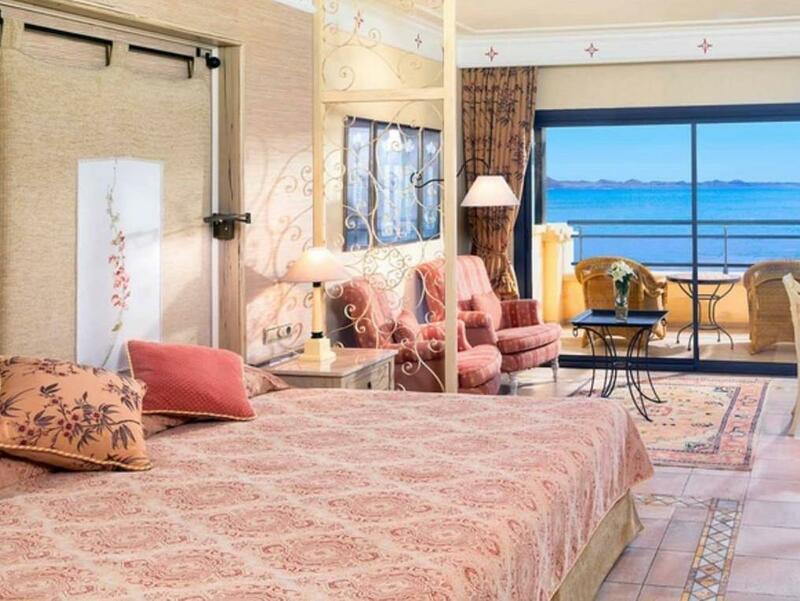 Gran Hotel Atlantis Bahia Real GL is an ideal place of stay for travelers seeking charm, comfort and convenience in Fuerteventura. "Everything was perfect according to hotel facilities"
Entry to the spa and gym is for those aged 16 or over only. Please note gentlemen must wear long trousers for dinner. Please note that the air-conditioning is turned off during the winter. Hotel and facilities are 5*. If you want relaxation and wellness than this is the only place to stay in Corralejo. The hotel is definitely catered to a much older guest. Myself and my partner (both under 35) felt at times made to feel very unwelcomed by other guests, we just put this down to incorrect presumptions being made on their part, assuming we were there to party or maybe our new faces in a crowd of what was a lot of returning guests stood out. (Hence the constant staring and whispers) This was no fault of the hotel and the hotel staff truly compensated with their positive and attentive service and genuine care to their hotel guests. Some outside facilities close so early (maybe seasonal) Breakfast buffet is great and with the old town /port a 15 minute walk (along the beach is lovely) or 2 minutes in a taxi for 3-4 euros. So dinner and local culture was much more welcoming to us in evenings with some of the best food/menus on offer. Will definitely return. The Bahia Real has everything you need for a Great vacation. The rooms are spacious and well appointed, the facilities (well equipped gym with various classes, nice spa, indoor as well as outdoor pools) and Great food. A great hotel with wonderful staff who always make your stay special. We were there for my partners birthday and there was a surprise present and cake in the room completely unprompted. My only wish if I could change anything was that the swimming pools were warmer. Even at 25degC they were too cold. Great service and accommodation. Decor needs a refresh, it is quite tired in places for what you pay. Quite a bit out of the way so you need to take a cab to town as there is not much to do in the evening. But, great rooms and facilities, everything spotlessly clean and staff were fantastic. Big downside was the position of our room. As the trip was for a special occasion, I booked a junior suite with a garden view beliving that would be quiet. The room was great, but the "garden" was an alley of lawn about 10' with a fence smack in front of our balcony. Mixed feelings about the hotel. Loved the facilities, service and Spa. Not much to do in the evenings and bit too far off the main town. Super hotel and food was fabulous & fantastic quality - plenty of variety. A couple of very minor niggles were the choice of UK to programmes - very limited, predominantly news channels. Would have been nice to have a movie channel. Also a bit more variety in the evening entertainment would be welcome. The entertainment was always singers & instrumentals. Wir waren von 2010 - 2017 10 mal im Gran Hotel Atlantis Bahia Real. Tolles Hotel, super Lage, super Frühstück, saubere Zimmer, Bedienung und Service sehr gut. Se proprio devo trovare un difetto a questo hotel devo dire che la spiaggia non è come quella delle foto, ma basta fare 5 minuti a piedi per raggiungere l'immensa e splendida spiaggia della riserva naturale. Per il resto tutto veramente splendido e molto curato nei particolari. Camere molto spaziose. Pulizia perfetta e cambio asciugamani anche 2 volte al giorno. Colazione molto ricca e di qualità. Non ho avuto modo di provare i ristoranti se non quello sulla spiaggia per uno spuntino. Отель хороший, прекрасные рестораны (особенно японский и гурмэ ресторан), немного подуставшие, но в принципе приятные номера, НО! : ужасная слышимость. Начиная с 7 утра горничные начинают перекрикиваться в коридорах, слышимость такая, что ты не можешь не проснутся, слышно каждое слово. В 7 утра они также могут начать убирать соседний номер, двигать мебель и т.д., спать невозможно. Будучи на отдыхе, не хочется просыпаться в принудительном порядке в 7 утра. Также не очень чистая посуда на завтраке.